Dr. Craig Hobar located at Medical City Hospital in Dallas, Texas, is a board certified plastic surgeon who has been providing his patients with compassionate, highly personalized and cutting edge surgical and non-surgical cosmetic surgery services. He only offers services that have passed his high standards of safety and effectiveness. People from locales as diverse as Tyler, Texas, Los Angeles, California and London, England elect to travel to Dallas in pursuit of his keen aesthetic eye. Most patients initial feelings about facial surgery are mixed, with at least a mild feeling of apprehension. After all, your face is unique and is the primary part of you that is woven with your identity and family history. In addition to his extensive training and board certification in aesthetic plastic surgery, Dr. Hobar received advanced training during his fellowship in the area of craniofacial surgery. This training and the subsequent experience provide him the unique advantage of having a comprehensive understanding of facial anatomy. He thoroughly enjoys meeting with his patients to discuss potential facial surgery, whether it is a nose job, eyelid surgery, a midface lift or full facial rejuvenation. He firmly believes that the best surgery is one that emphasizes your assets and produces results that are individualized and lasting. He takes great care to offer his patients the time and counsel needed to guide them into what is their personal best option to remedy the impact of time, lifestyle choices and genetics. Understand that when it comes to operating on your face, Dr. Hobar is one of very few plastic surgeons who offer the unique combination of training, certification and experience with a keen aesthetic eye and a personal philosophy that pays homage to the unique characteristics that work in harmony to generate the identity you present to the world. 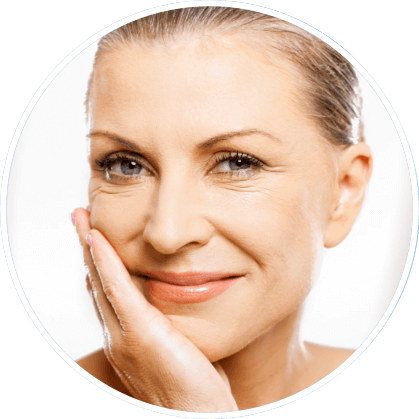 Simply put, with Dr. Hobar you will love results of your facial surgery that are subtle, enduring and truly you. Women all over Texas and the Dallas Fort Worth Metroplex choose Dr. Hobar as their plastic surgeon for breast augmentation because of his stellar reputation of enhancing the breast in a way that produces very natural, individual, beautiful results. With over 25 years of experience, Dr. Hobar consistently pleases patients with his specialized breast augmentation technique that leaves no scar on the breast. Instead, a small incision is made under the arm and the implants are placed behind the chest muscles. Woman want a very natural, feminine, shapely breast that will suit their frame for years to come. For his scrupulous safety record, his keen aesthetic eye, and results that are incredibly natural, Dr. Hobar is the cosmetic surgeon that well over 1,500 women have turned to for breast surgery. While we provide our patients with an opportunity to look through before and after photos of actual patients during their consultation with Dr. Hobar, we urge our visitors to view our interactive before and after photo gallery while visiting our website. If you have any questions about cosmetic procedures please send us your questions or Call Our Dallas office directly at (972) 566-7300. If all of your questions have been answered and you feel confident about taking the next step towards a successful cosmetic surgery you should schedule a consultation with Dr. Hobar today!